Fenway Health announced that Dr. Jennifer Potter has been appointed Co-Chair of The Fenway Institute located in Boston, Massachusetts. Since 1971, Fenway Health has been working to make life healthier for our LGBT community, people living with HIV/AIDS & the broader population. 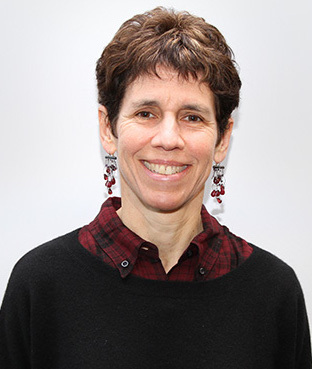 Dr. Potter is Director of Women’s Health at Fenway as well as an Advisory Dean and Director of the William B. Castle Society at Harvard Medical School. She has directed Women’s Health Research at The Fenway Institute since 2015 & has been a member of the faculty since 2010. She is a physician at Beth Israel Deaconess Medical Center and Fenway Health. Dr. Potter will join Dr. Kenneth H. Mayer, who has been a Co-Chair of The Fenway Institute since 2001, in leading The Fenway Institute. Potter stated, “It is an incredible honor to be named co-chair of The Fenway Institute. I am excited & grateful for this new opportunity to advance research to reduce health disparities among LGBT populations & to enhance health outcomes for members of our diverse communities. I look forward to continuing & growing The Fenway Institute’s commitment to nurturing the careers of LGBT scientists & healthcare practitioners. I am also enormously inspired by the legacy & groundbreaking contributions of my late friend and colleague Dr. Bradford.” The Fenway Institute was co-founded in 2001 by Mayer & Dr. Judith B. Bradford. Mayer & Bradford ran The Fenway Institute together as co-chairs until Bradford’s death this past February. Since its founding, The Fenway Institute has become one of the foremost LGBT health & HIV research, education & policy organizations in the world.